Today, biometric applications are used across industries, institutions and government establishments. In many business outfits, it is very crucial for continuity of business operations that biometric systems keep functioning tirelessly. In institutions like hospitals and blood transfusion units, where precise identification of patients and blood / organ donors can be crucial, biometrics eliminates possibility of human errors and expedite overall healthcare operations by streamlining patient identification practice. Biometrics makes use unique physiological and behavioral patterns of human body. These patterns are formed randomly owing to different biological and environmental reasons. Randomness and complexity of details make these patterns good enough to be considered as unique. These biological or behavioral characteristics can be as obvious as facial structure or voice, which can even be recognized and differentiated by human senses, or as unapparent as DNA sequence of vascular structure, which require special equipment and process for identification of an individual. Despite the sizable difference in different biometric traits, they serve a common purpose: making personal identification possible with biometrics. 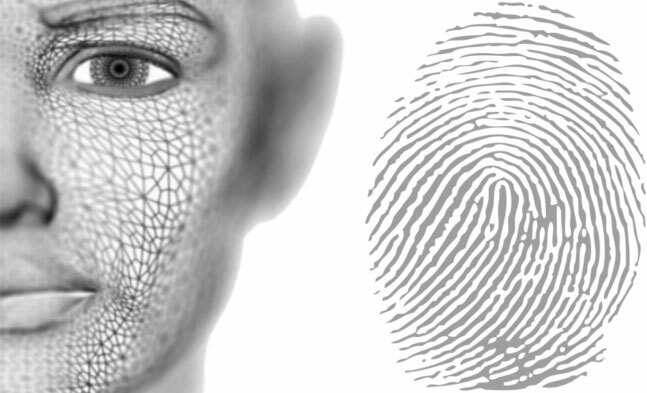 Biometrics makes use of statistical, mathematical, imaging and computing techniques to uniquely map these patterns for an individual. These patterns are first captured by imaging or scanning and then taken through specialized algorithms to generate a biometric template, which is unique to the individual. 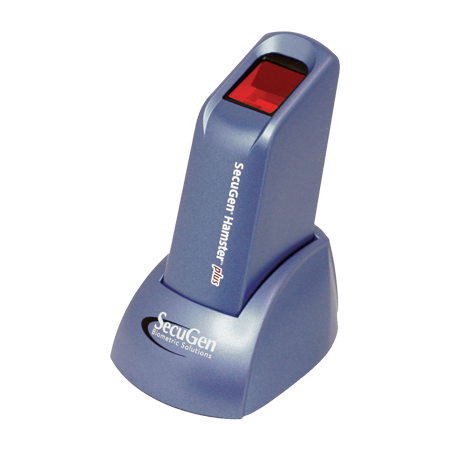 A biometric modality is the type of human trail that a biometric system accepts as input. There are many biological and behavioral patterns in human beings that biometrics can leverage to identify them individually. Biometric modalities can be classified largely in three categories: Physiological, Behavioral and a combination of these two. These modalities are related with shape and size of the body, for example: fingerprints, hand geometry, facial recognition, retina, DNA, etc. These modalities pertain to the human behavior which is expected to be consistent over time, for example: signatures, typing rhythm, gait (the way an individual walks). Behavioral patterns of a person develop over time and are believed to remain unchanged during the lifetime. These behavioral patterns can be measured and used to identify the individual. These modalities depend of physiology as well as human behavior, for example: voice. Deploying a biometric modality depends on identification or authentication application it is going to be used with, for example: for a low security door access, fingerprint based access does the job, however, for logical access to a high security network server, user might have to authenticate with fingerprints as well as his or her voice print. Biometric authentication application can be implemented using one (unimodal) or more than one (multimodal) approach that makes use of single or multiple biometric modalities respectively. In many online and mobile services, for example, app based mobile banking or financial services application, a comparatively newer approach is used called continuous authentication. This approach comes out of the logic that a user should be continuously monitored to make sure that the device or application is being used by the genuine user throughout the session. User activity can be tracked by usage pattern monitoring and hardware / sensor data to make sure that device is in right hands. Once a user passes the authentication / verification barrier, there is no way to make sure that it is the same user throughout the session. Continuous authentication solves this problem by leveraging behavioral biometrics that creates a unique user profile depending on usage patterns and device data, user’s authentication state can be tracked throughout the session with his unique user profile and access can denied in the middle of a session if any irregularities are detected. 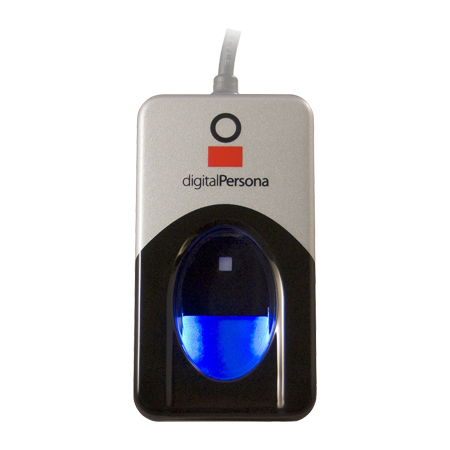 Biometric modalities are extensively used in personal identification and authentication applications. Physiological modalities are comparatively more stable than behavioral ones, and stay unaffected by factors like mood, psychology and fatigue. Fingerprint recognition is one of the popular modalities, which commonly used for application like physical and logical access control, employee identification, attendance and customer identification. Friction ridges on fingertips are commonly called fingerprints and they are one of the popular physiological characteristics that are used for personal identification. Having its roots in forensic applications in the past, fingerprint recognition has gained considerable market penetration and popularity in recent years due to extensive use in consumer electronics like mobile phones and national ID programs. Unlike other biometric methods of identification, fingerprint recognition does not require user to stay steady or wear a specific posture like iris or retina recognition. User just needs to touch the scanning surface of recognition equipment and it is done. Facial structure is also a physiological modality that can be used for personal identification and authentication. Human facial structure is an individual characteristic. Facial recognition biometrics makes use of this fact to identify and authenticate individuals. Human brains have natural ability to remember and distinguish different faces. We identify and authenticate people just by recognizing their face on a daily basis. We recognize our family, friends, colleagues, neighbors and pets primarily by their facial structure. Facial recognition system can identify people by processing their digital images if their facial recognition identity has been pre-established. The system takes advantage of digital images or still frames from a video source, which are taken through the facial recognition algorithm. This algorithm extracts data out of facial characteristics like position and shape of eyes, nose, cheekbones and jaw. It can also measure distance between these characteristics and mapped data is stored in a database. This system can be useful in identifying people in crowd like airport terminals, railway stations, etc. Facial recognition systems can capture multiple images in a second, compare them with what is stored in the database and produced results. Intrusive, subject is require to touch the equipment in order to present a biometric sample. 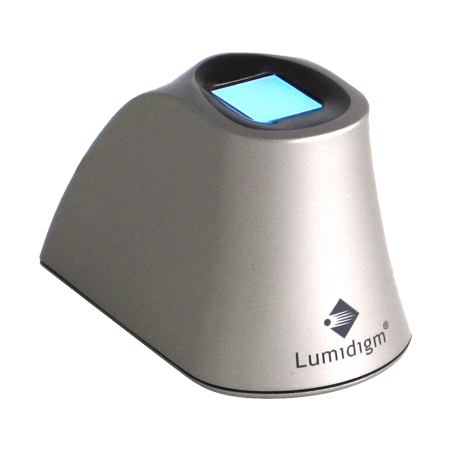 Non-Intrusive, subject is not require to contact the equipment for presenting the biometric sample. User consent is required. User consent may not be required. Extensively used in identification and authentication. Extensively used in surveillance and public applications. High distinctiveness and unique characteristics. Fingerprints do not repeat, not even in twins. Low distinctiveness. Facial characteristics may repeat in people, e.g. in twins. Subjects cannot be identified from a distance. Subjects can be identified from a distance. High permanence and stability, very less affected by age. Medium permanence and stability, may get affected by age. High security and high confidence level. Low security and low confidence level. Medium collectability. Low exposure due to location of minute details. Highly collectable. Highly exposed due to location of face and larger details. Requires specific set of hardware and software. Can be completely software based, can make use of existing digital images. Medium universality: Fingerprint may not be available in some individuals. High universality: Facial features are found in all human beings. Low potential for circumvention. Not easily spoofable. High potential for circumvention. Medium level of acceptability. High level of acceptability. Biometrics has made a significant impact on society in recent years. It is helping people get rid of ID cards, documents, tokens, PINs and passwords, enabling them to prove their identity with their unique physiological or behavioral characteristics. It is also making life better by eliminates need of carrying possessions all the time to prove one’s identity. There have been many instances in the past where people were denied access just because they forgot to carry an identity card or particular document to prove their identity. There have also been instances in which passengers were denied boarding flight just because they could not prove their identity and the airline did not have any biometric recognition method implemented to identify people with their inherent characteristics. Now people do not get access denied just because they do not possess a piece of plastic. Wherever biometric recognition has marked its presence, people go virtually unrestricted by instantly verifying their identity. Denied access on online service is another common incident because people tend to forget their PINs and passwords. Biometrics can also make a difference in online services by providing seamless login experience. 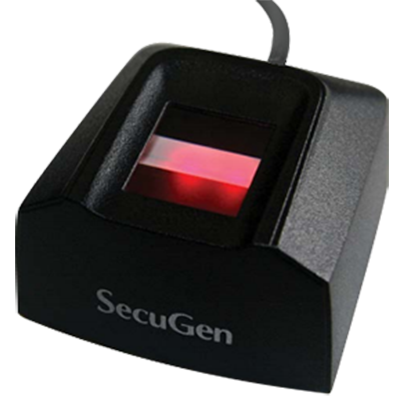 Despite being the part of physiological biometrics, fingerprint recognition considerably differ from facial recognition. Both the recognition methods have their own advantages and disadvantages, but none of them can replace each other. Facial recognition is good in mass surveillance applications at crowded places, while personal identification with user consent is better achieved by fingerprint recognition. Both the recognition methods have been used in law enforcement extensively. Biometrics has been a part of forensics for more than 100 years, while modern mass surveillance is performed with facial recognition systems by various law enforcement and national security agencies.